We wanted to say thank you again. The wedding turned out great. THANK YOU SO VERY MUCH! That was the perfect service and EVERYBODY raved how great you were. My sister is a florist and I believe is adding you to her facebook page which is Laurie's Backporch Floral, in case a bride were to need someone. Everyone thought you were amazing! Thank you for the wonderful job and wish you could have stayed for reception. Mary Lucretia Brinkley I highly recommend Rev Jeff!!! 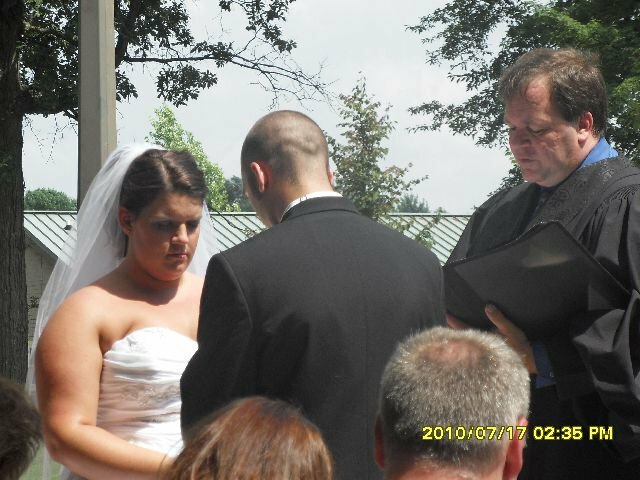 The service he performed for my niece and her husband on their wedding day this past Fri was so Beautiful.....It was a wonderful mix of, of course our Lord God, Love, the sanctity of marriage and humor....It was just the way a Marriage ceremony should be....If anyone is looking for the perfect man to unite them as one they should call A New Way of Hope Weddings and ask for Rev Jeffrey Witherspoon!!! He puts you at ease and creates an atmosphere of Gods Love, the minute he enters the room you just know you are in good hands!!!! So Thank Rev Jeff....we couldn't have asked for anything more!!!! William and I wanted to give our sincere gratitude for your service this past Friday evening. It was so Beautiful and all we could of asked for. You are a God send to us and we will be forever grateful for your time and kindness and for helping us to become husband and wife. Thank you for blessing our lives. We just wanted to give you a update since we saw you last. We have had a wonderful first month of marriage and almost on to our second!! We had a great honeymoon and at the return of our vacation we found out that we are having a baby girl!! and cant wait for her arrival sometime in July! Hope all is well with you and your family. We couldn't have had a better wedding day if we tried! Thanks again for your services!! Good Monday Morning. I just wanted to take moment to tell you how nice it was to work with you Saturday. I have been a Disc Jockey for 18yrs and I have listen to allot of marriage's in my time. 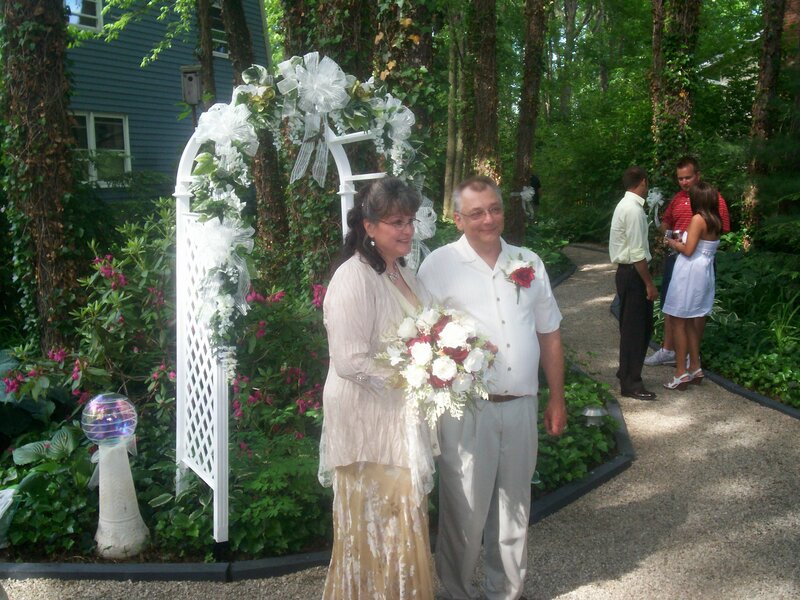 I wanted to say, yours was very professional and sincere, personnal and you made the couple feel comfortable. It is nice to see that a couple can have a lovely marriage at their location and still modify it to their liking. 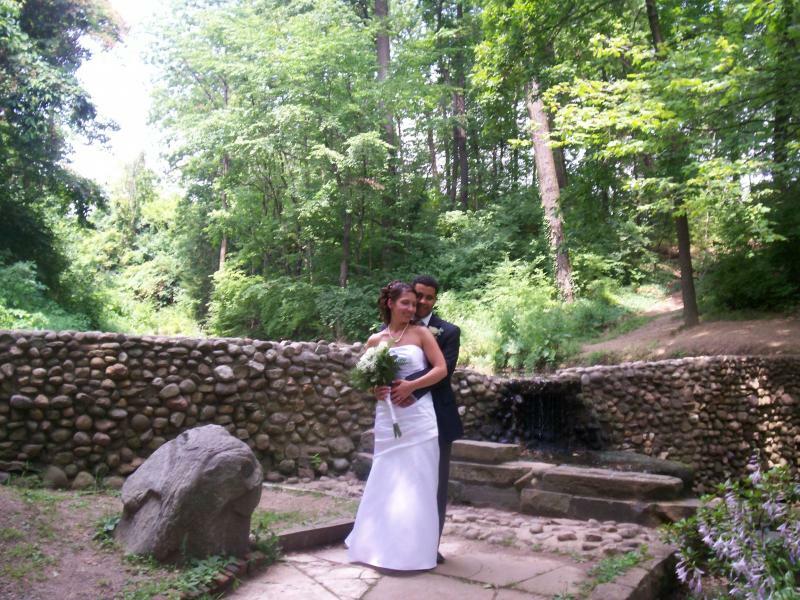 We look forward to our next wedding that we will work with you. I will continue to toss your name out to my clients. It was nice to have had time to talk with you to. I am glad your new venture with the expansion is working for you so well. God does work wonders, he knows you are touching people and bring them together. Keep up the good work. I received the information that you sent. I read threw it, and it sound's great! I cant wait to share it with Lydia tonight! I want to tell you that I appreciate the time you spent with Lydia and I ....it really does mean allot to us both. I'm excited, and relived to know that you are willing to be there for us on a day that means sooo much. Last night after we left I felt that feeling of a huge weight being lifted off us. Some of the stress and pressure that comes with planning these type of event's can put a strain on some of the moments where great memories can be made. I'm glad that you brought solace to that situation, and put ease Lydia's worries. You personality and humor gelled so well with ours that the decision was easy to make. I'm excited for the rest of my families to meet you.This will be a great mix! Thanks again Jeff. If you need anything please let me know. We will be in touch with you if anything comes up. (P.S. I'm a junior, so everybody call's my dad Mike and me Michael. If you could call me Michael as well it might help with confusion.) Thanks. We just wanted to write to say a very big THANK YOU, for the very cute ceremony you gave us in your gazeo. It was way more then we expected. 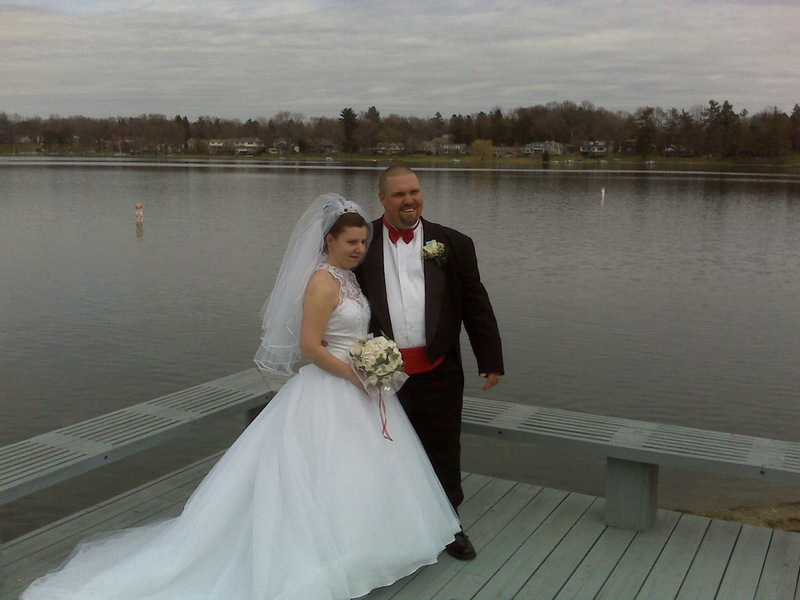 Me and my beautiful wife are totelly in love and will remember that day for the rest of or amazing lives. 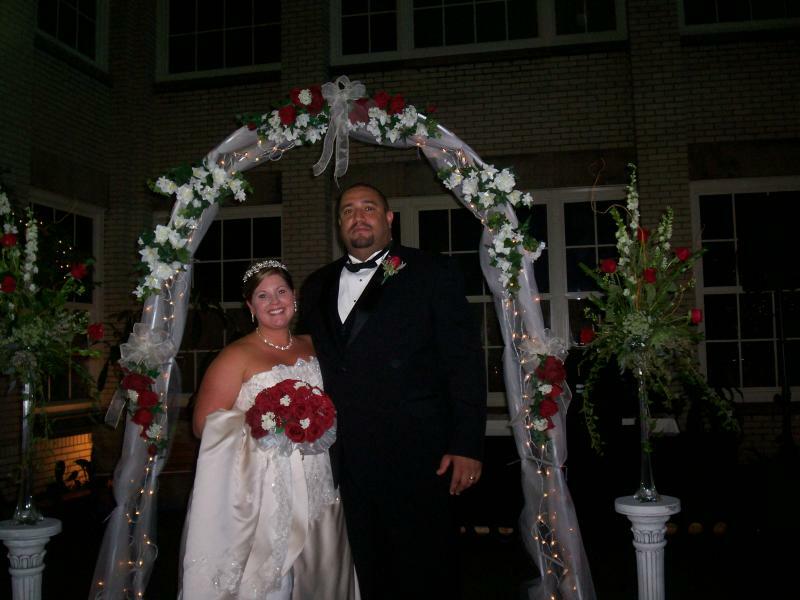 Elizabeth Moser Thank you so so much for doing our wedding! We have had so many people tell us how much they enjoyed your service! Brandon and I can't thank you enough! You did such an amazing job! Thank You so much for making our special day one to remember forever!! You did a fantastic job with everything. Thought you would like to see a few of the professional pictures. We still thank you and cannot say enough of how you performed the ceremony. Thank you again. P.S. 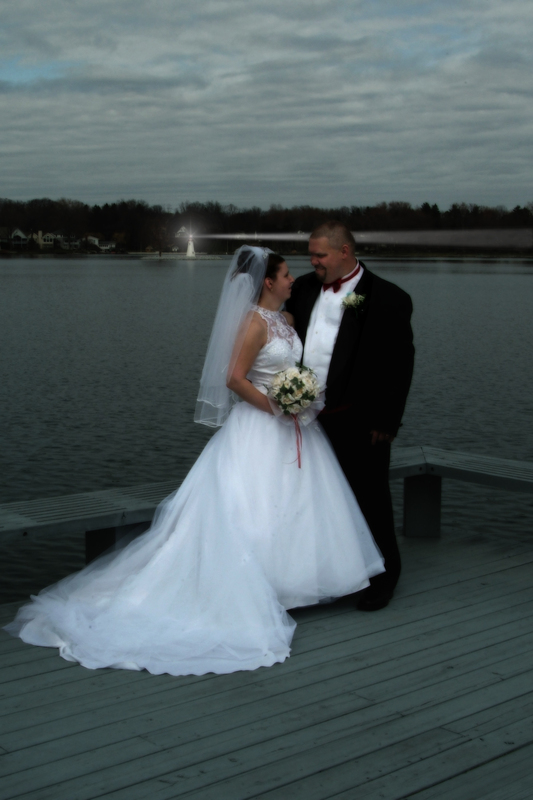 The picture of Duane and I in front of the lake was digitally enhanced, they added the light coming from the lighthouse. Thought you would enjoy seeing that one. Duane and I would like to thank you very much for the ceremony you performed. It was beautiful and we had such a wonderful time. I wouldn't have went with anyone else to marry us. You helped us be at ease and not so nervous. Again we thank you from the bottom of our hearts. 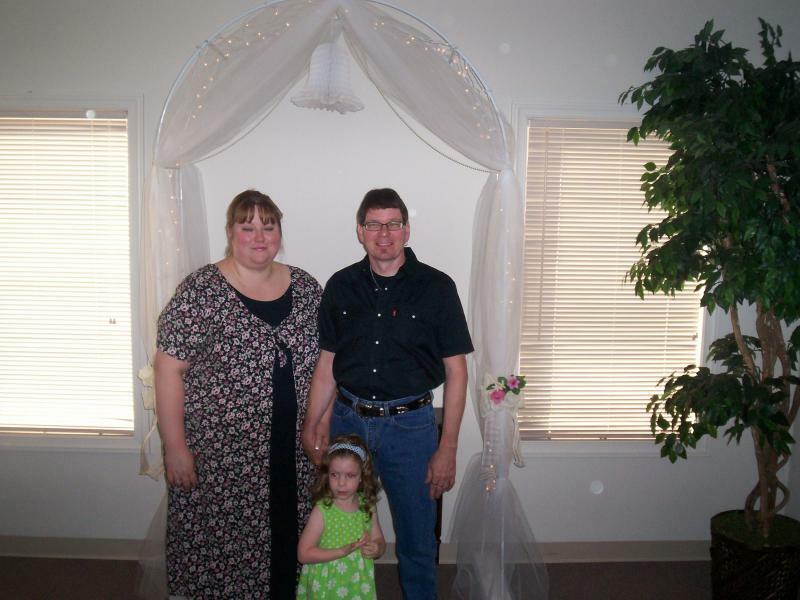 Here is the photo of us after the wedding. I am nothing less than utterly impressed! Your passion comes through clearly in what you write. Thank you as always and I can't wait to shake your hand! It was for sure a crazy ride for the last few days up to the wedding. Seems like there is always a challenge in life that just keeps building character for us. I wanted to take the time to tell you thank you for all of your help with Paul and I. We have been so busy with Jessica and all of the other things that have been going on that this is the first time I had a chance to breathe. Jessica is doing well by the way. She will be out of school for a month at least and has already went for her first check up on her leg. Funny thing, not only were we late for the wedding but we were late for the gathering with the family as well. It can only happen to us!!!. I am happy to say though that we have had smooth sailing since Saturday. Nothing has came up that we did not know about or have not been able to work out which is great because I think that the both of us need a break. Again thank you so much for all of your help and we do hope to contact you within a year to do the big celebration with everyone. We will definitely make sure to forward your name to any other lucky couple in love. Thank you so much. 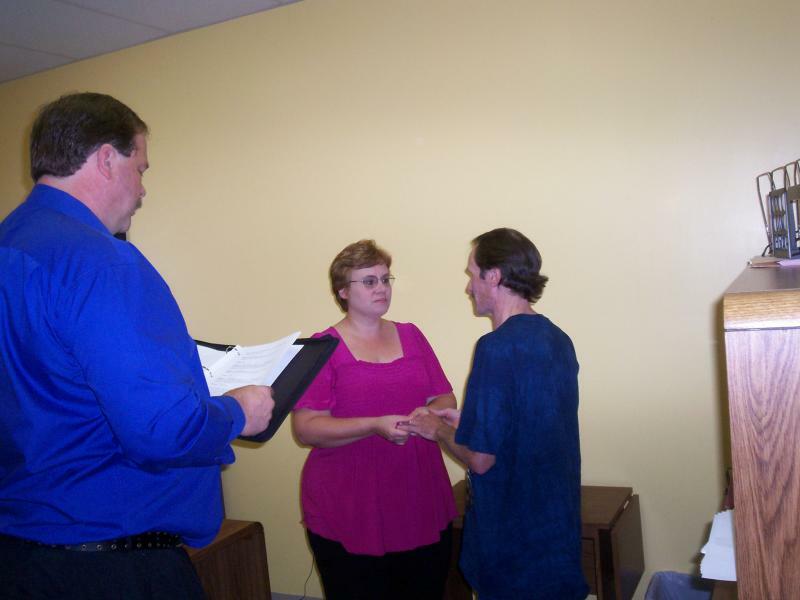 We will definitely recommend you to anyone we know who is in need of an officiant for their wedding. My mother told me at dinner that the ceremony you prepared for us was so much nicer than her own. We very much liked what you prepared and would be honored to be a part of your web site. Give this service a look over and let me know how this looks to you. Thank you for the proof of the wedding service. We just read through it and thought it was beautiful. We'll look at it again this weekend and let you know if there are any changes. Randy and I want to thank you for performing our wedding ceremony today. You did a great job, and everybody in attendance thought so as well. A few comments were made about how you looked so relaxed and comfortable..
My mother and father both said you did a wonderful job, both Randy and I agree. We have accomplished what we wanted, thanks to you. For many years now, we have considered ourselves married in our hearts. But this gave us the chance to say it out loud. I just wanted to thank you from the bottom of my heart for making our ceremony exactly as we wanted it. You are a truely wonderful person and you are amazing at what you do. Your an inspiration to us as a couple, we got so many compliments on how wonderfully you did our ceremony. I would highly recommend you to anyone! When you brought those resse cup's out, I was surprised, that was a nice touch. Thank you again, so much for making our day special. You gave us a great start to a wonderful & happy marriage that I know will last forever! Thank You. Your act of kindness will never be forgotten. "THANKS! The service was beauitful! We wanted to THANK YOU for being an importand part of our special day. Thank You so much for making our special day one to remember forever. You did a fantastic job with everything. Thank You Rev. Witherspoon . Your kindness may seem simple to you,but it meant everything to us!!! Rev. Witherspoon, Thank you for helping us make this day special. We cant thank you enough for all you did for our wedding. It meant so much and turned out beautiful. Thank you for the awesome job with the pictures. we couldn't have been moer pleased. Yesterday was the most amazing day of my life. How in the world I cried and smiled all at once is beyond me. Yesterday I married the man I love. I honestly never thought my wedding would go the way it went. I didnt think i would be pregnant when i got married, i always thought i would have a traditional wedding with a big reception and lots and lots of family surrounding me. But even though Bella is with me, it's still amazing and i wouldnt trade any of it for the world. 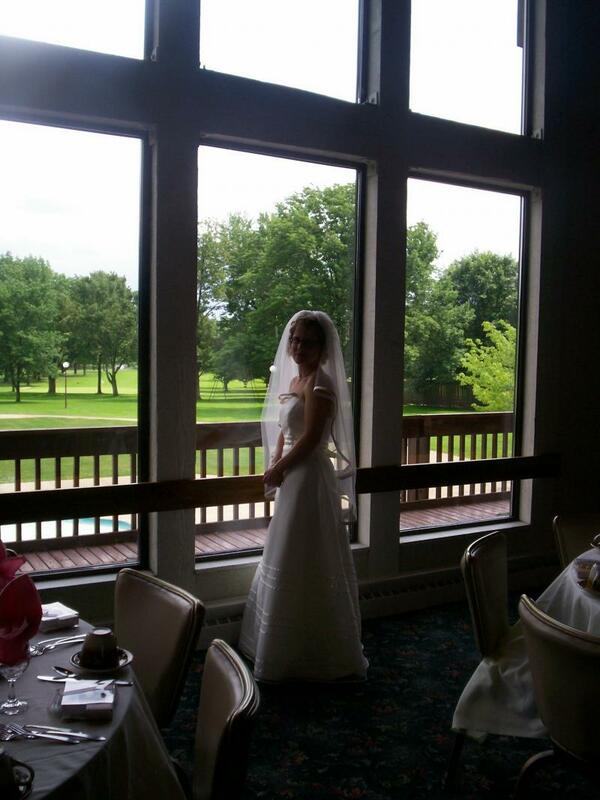 My wedding yesterday was so beautiful and so amazing, i could not have asked for more. And without the family i had with me, it would not have been at all possible. I am so thankful for everyone in my life, and i am thankful for this marriage and our baby. Not only do i have a brand new family to take care of, but because of this marriage and our baby, i feel the one i am already apart of is coming back together once again. I never imagined how i would feel when my father gave his little girl away, and i am glad my daddy likes Clair. I wanted to hold my dad's hand and never let go up there, not because i didnt want to b married, i almost didnt know how to let go. But, he handed me to Clair and i think he was proud. 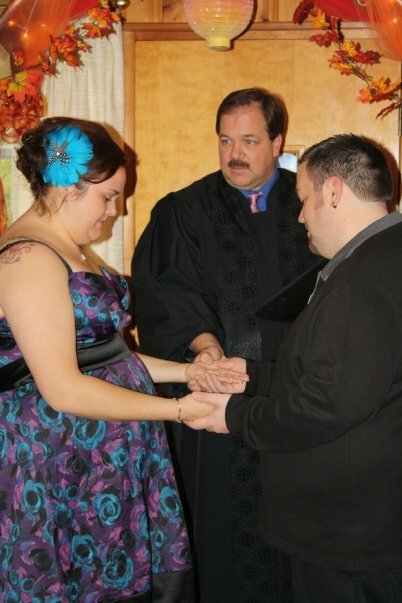 Before the reverend could get his whole beginning of the ceremony out, Clair and I both began to cry. It was the greatest feeling ever. Standing there, with each other, knowing then and there that was it. That we would be together as one from then on. 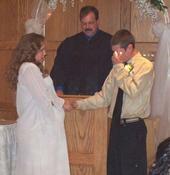 And, the ceremony touched so many people yesterday EVERYONE cried!!! Tim and I cannot thank you enough for making our wedding day so incredibly special. 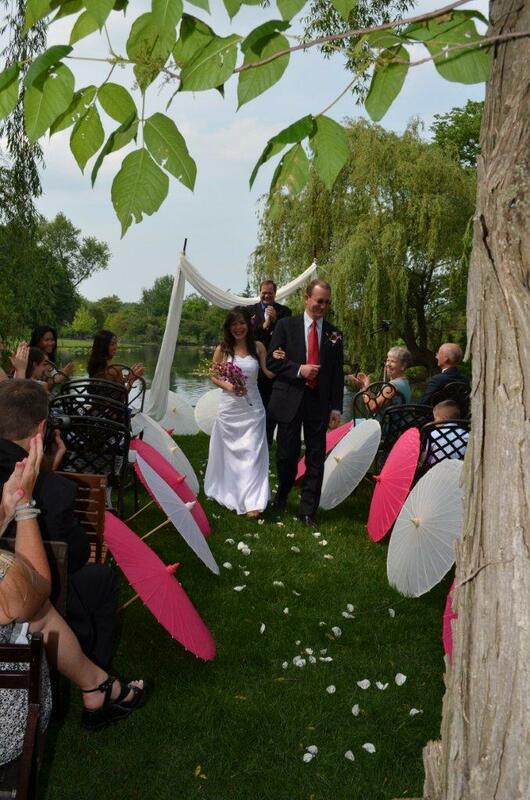 The ceremony was beautiful,the gazebo was beautiful. All of my guests really enjoyed the service. You made everything go so smooth. Thank you for everything you have done for us. I just wanted to thank you for helping us to fulfill our dream. With four kids, two of who we just got custody of ,it didn't seem possible. Yet with you and A New Way of Hope Weddings it was possible. I just wanted to say thank you.